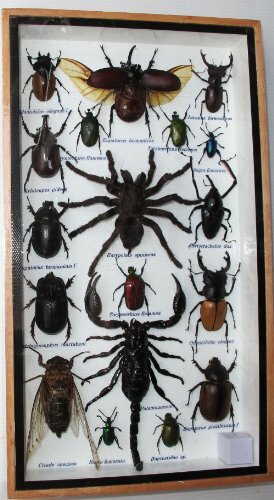 This Item Is Real Mixs of Real Insect taxidermy in Boxs. For Collectibles and Decoretion. BOX size 8X14X1.3 Inches it made of hard wood with glass front.